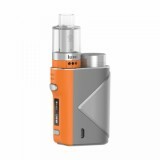 The Lucid 80W TC Mod and Lumi Subohm Tank from Geekvape consist the Geekvape Lucid Kit. If you are a fan of top refilling and adjustable bottom airflow, Geekvape Lucid tank is your thing. 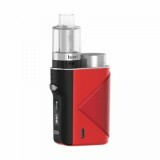 The Lucid 80W TC Mod and Lumi Subohm Tank from Geekvape consist the Geekvape Lucid Kit. The Lucid TC Mod only need one 18650 battery to provide 80W max output, how cool is that? You can also use the same USB cable for charging and firmware upgrade. Now, about the Lumi Subohm Tank, it is built with FDA certified medical grade polycarbonate, which makes it quite unique. Let along the advanced AS chipset, this e-cig tank rocks! If you are a fan of top refilling and adjustable bottom airflow, Geekvape Lumi tank is your thing. • You can also buy the Geekvape Lucid TC Mod and Geekvape Lumi Subohm Tank in BuyBest. It is comfortable for using, feels nice in the hand and mod is pretty much small which will be the plus for most people. 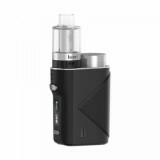 Lucid 80W seems cool, love the design and i am not a fun of the traditional box nod. Geekvape Lucid is my girl. hope buybest can ship it to me soon for testing.